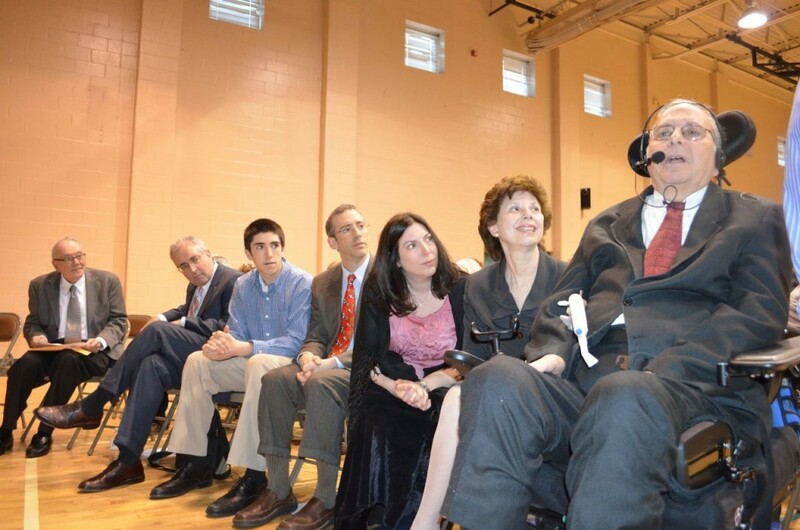 As a life-long supporter and purveyor of Jewish education, Jehiel celebrated by sponsoring student scholarships at the Solomon Schechter Day School of Bergen County. In lieu of gifts, please consider making a donation to the Solomon Schechter Scholarship Fund in Rav Jehiel’s honor. A donate button is located at the top of this page. Featured guests at the day’s event included: Rabbi Gordon Tucker, former Dean of The Jewish Theological Seminary’s Rabbinical School and a colleague whom Rav Jehiel hails as “a great teacher – one of the clearest and most profound.” David Javerbaum, former chief writer for The Daily Show and a student of Jehiel’s, appeared via video. Music was provided by some of the rabbi’s favorite singers and musicians, including Cantors Perry Fine, Eliot Vogel, and Lenny Mandel as well as Jehiel’s brother, Arbie Orenstein. And other surprise guests. There were technical difficulties with the video, though we had viewers watching the live broadcast from all over the world. While we do not have Debra’s lovely opening comments, Ruth Gafni’s warm welcome, or video of the Skype conversation with Jehiel’s relatives in Israel, most of the rest of the program is intact. We include it here in a few pieces: 1) Rabbi Gordon Tucker’s talk, 2) The music, along with Rabbi Potasnik and Jehiel’s own comments, and 3) David Javerbaum’s warm and funny message. Thank you again for your support of Jehiel and of Solomon Schechter. And here is a slideshow with snippets of Jehiel’s life. Enjoy!